Trained as a traditional Chinese painter, I have adopted the principle of “expressing the spirit through form.” Along with painting, I have studied Chinese philosophy and researched Buddhist art. During the past few years, I have traveled to Dunhuang and Tibet to study their art and attempt to understand their spirit, both visually and philosophically. These themes in art and lyrical composition have served as the foundation for my work as a new-media artist. My artworks explore the conceptual resonance between contemporary and ancient mythologies of energy. Digital images create an environment that suggests, metaphorically, that the medium can reach beyond the physical world into a realm where matter slips effortlessly into energy, reproducing a world in which breathing is synonymous with peace and beauty. 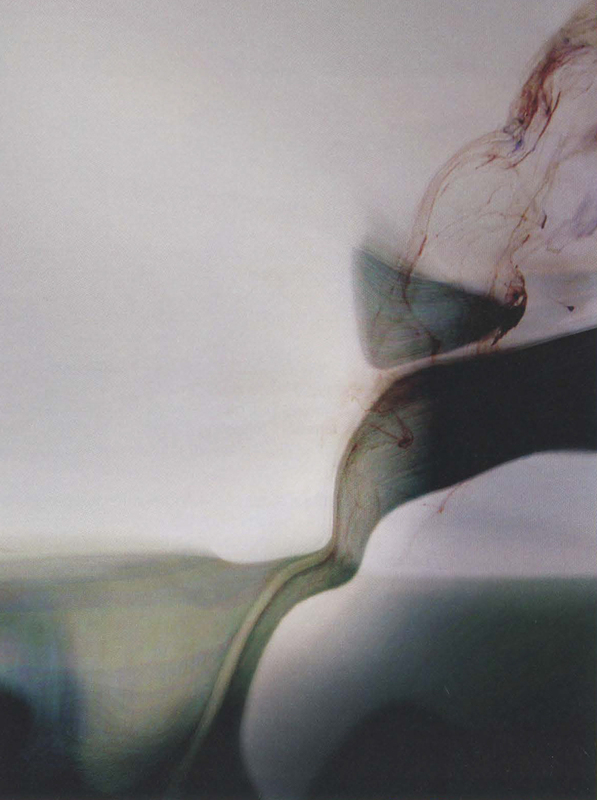 Large-scale prints were created with paint, digital photography, and computer manipulation. The complete process included painting on rice paper, scanning the paintings into a computer, adding elements shot from a digital camera, and then layering and shaping these elements in Photoshop using a Macintosh G5.